The Eagle Mountain Classic Boat Club wants to extend an invite to their upcoming show at the Fort Worth Boat Club. 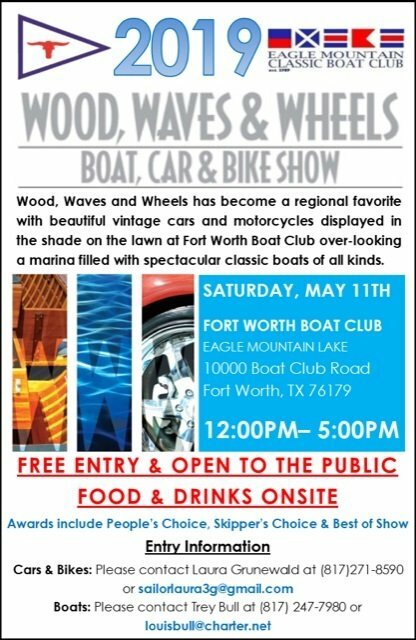 Classic Woody & Fiberglass Boats along with classic cars and motorcycles at this upcoming show in Fort Worth, Texas. Click to view past show details.